The film makes use of special effects, but also relies on old-fashioned atmosphere to send chills down audiences’ spines. The shadows descend, the floors creak, a winding staircase bends, portraits breathe and then down a dark hall creativity and terror face off. Director Rodrigo Cortes’ film of Lois Duncan’s iconic 1974 suspense novel, Down a Dark Hall, is a fantastic journey that is meant to be stomach-churning. 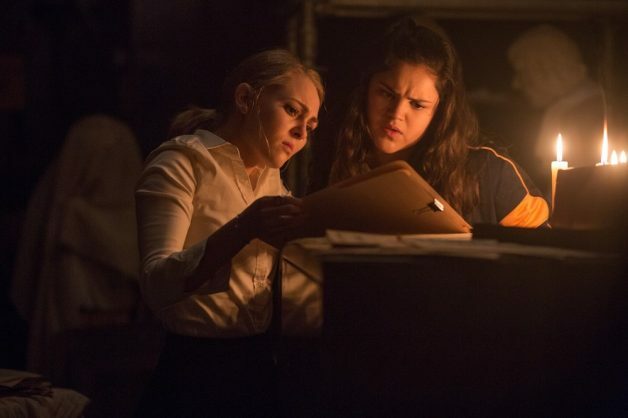 An angry outburst is the latest school reprimand for Katharine “Kit” Gordy (Annasophia Robb) after two suspensions, a misdemeanour arrest and “an attempt at arson”. Things have been getting worse for Kit since her father died 10 years earlier, so her mother and stepfather have one last option – admit Kit to Blackwood, an exclusive boarding school run out of an old mansion in the woods. 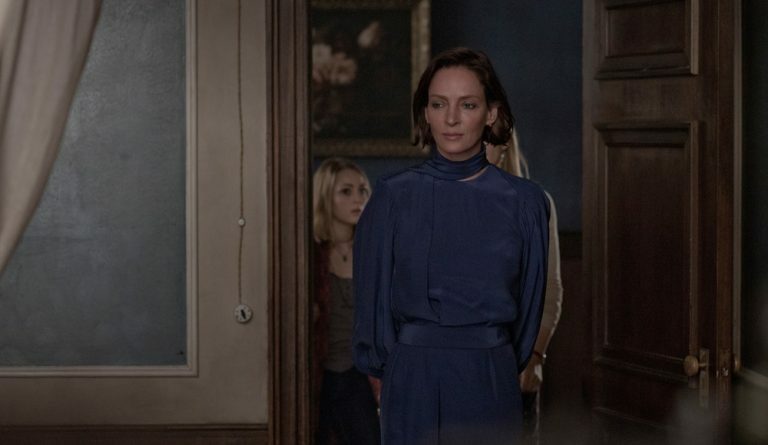 When Kit arrives at Blackwood, she meets the mysterious staff and the enigmatic and strict headmistress, Madame Duret (Uma Thurman), whose belief in the “four pillars of knowledge” – literature, art, music and mathematics – form the basis of the curriculum at Blackwood. Soon, four other girls arrive, but Kit becomes suspicious when she discovers that she, Izzy (Isabelle Fuhrman), Veronica (Victoria Morales), Ashley (Taylor Russel) and Sierra (Rosie Day) are the only students at the school. Madame Duret’s son, Jules (Noah Silver), becomes Kit’s music teacher and during their lessons, Kit seems to be able to channel a force she has never experienced before to bring forth beautiful music from the piano. It seems Kit isn’t the one whose fingers are on the keyboard. The other girls have similar experiences, in which they suddenly have expertise in art, literature and mathematics that they’ve never had before. Feeling recognised in ways they never did previously, the teens begin to assert themselves in new ways. In fact, their abilities do not belong to them at all — the girls have a connection to another realm they could never dream of. Yet as Kit discovers the terrifying truth about the world they’ve walked into, Blackwood boarding school and Madame Duret’s malevolent intentions become a nightmare there may be no escape from. It’s a story perfect for the movies, as Cortes turns Duncan’s story into a metaphor-rich, gripping supernatural drama, stunningly photographed by cinematographer Jarin Blaschke (The Witch). Duncan’s book was written in 1974, a year after the publication of the author’s I Know What You Did Last Summer, and continued her theme of suspenseful and paranormal situations surrounding a group of teenagers. The film makes use of the most modern of special effects, but also relies on old-fashioned atmosphere, ambience and nuanced performances to send chills down audiences’ spines. “We did try to do the effects in a very grounded way so everything in the film has very physical perception,” says Cortes. Which might explain the strange sounds coming from the room behind you.